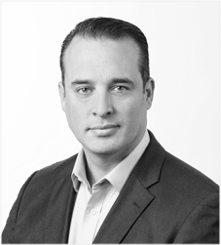 Juan Molina serves as CareCloud’s vice president of strategy and business development. In that role, he drives the adoption of CareCloud as a platform for healthcare through a growing ecosystem of partners, while also charting the course for the organization’s overarching strategy. Mr. Molina brings 15 years of experience in high-growth technology companies that help physician practices to be more successful. He was part of the founding team at CareCloud and has held a variety of roles across sales and business development at the company since its inception. Prior to CareCloud, he was a member of the founding team at Avisena, a provider of software-enabled revenue cycle management and spent 8 years in positions of across the organization from technology where he was responsible for building out the company’s product technical infrastructure, marketing and sales, including 5 as its top sales producer. Prior to Avisena, he worked at Web.com (formerly iNNERHOST) where he was a network engineer in their network operations center. Molina started his career at Florida International University where he was part of the team responsible for building and maintaining the university’s online learning initiative. Mr. Molina holds a M.B.A. from Florida International University. He serves a variety of community and charitable organizations, including Board positions for the St. John Bosco Clinic and Pinecrest Elementary charter school system.